Occasionally we get requests for plastic jersey barriers that can accept fence on top. It’s a little scary to think of selling someone a barrier and assuming the fence they have or plan to buy works with it without actually trying it out first. This is why we like to sell fence system that we know work with specific barriers. We have two barriers that accept fences. The first is our 42″ x 72″ Jersey Style LCD 80lb Barrier that comes from Utah. The fence that goes on it is 48″ tall x 71″ wide. When you buy the fence system, it comes with all the hardware needed to get the fence installed. 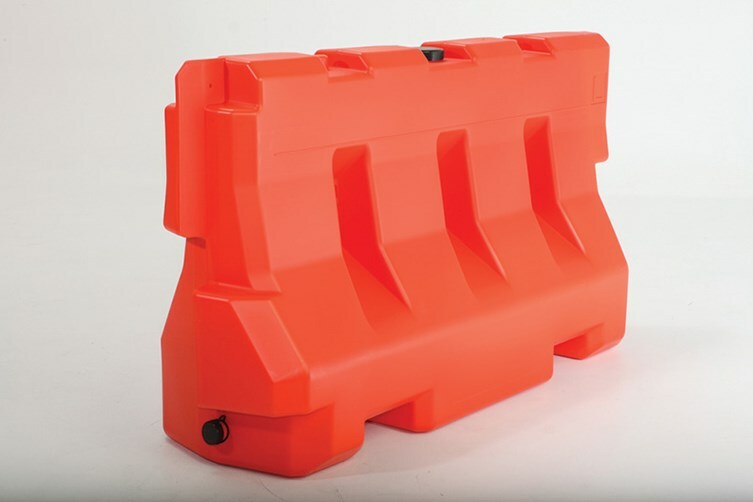 The other barrier is our 36″ x 60″ Water Fillable Barrier that ships from PA or NJ. The total height of the fence system for this barrier is 8ft tall. All we need to know is the total area you are trying to cover with the barriers as well as your zip code and we can get you a full quote. If you need any spec sheets on the barriers or fence systems please let us know! A traffic barrier barricades vehicles so that if a vehicle gets off course, it protects the other vehicles from this vehicle. You may find a barrier between a highway, or just in your local town because of a big road project. Traffic barriers can be concrete, plastic, filled with water or filled with sand. One type of traffic barrier is called a ‘jersey style’ barrier, presumably because they were commonly used in jersey. They are designed with many specs for tests in mind so many reach all specs necessary.